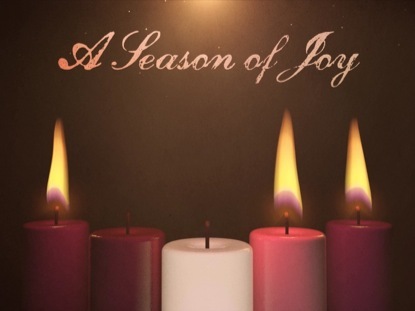 Light the pink or rose colored candle in the Advent Wreath. Christmas is a joyful time for most children as it should be. The Bible talks a lot about joy and how Jesus being born was a joyful occasion. Talk to the children about how Christmas is a time of great joy. Ask them what makes them joyful at Christmas. There are other things that cause people to be joyful like the birth of a baby. At Christmas, we celebrate the birth of a baby. But this baby was different than any other child. Jesus is the son of God, and He came to Earth to be our saviour. Because of this, He has brought joy to the world. You may want to have the children sing the song Joy To The World. Bible Story: For week three of advent, read Matthew 2:1-12; Luke 2:1-20. Tell the story of the visitors after Jesus was born. First talk about the angels who appeared to the shepherds and told them that a baby was born that would bring joy to the world. The shepherds went to see baby Jesus and were filled with joy. Some time later wise men arrived from the East. They had followed a star to Bethlehem and wanted to worship the new born king of kings. They were filled when great joy when the found Jesus and gave him gifts. Nehemiah 8:10b: The joy of the Lord will make you strong. Matthew 2:10-11: When the wise men saw the star, they were filled with joy. They went to the house where the child was and saw him with his mother, Mary. They bowed down and worshiped the child. They opened the gifts they brought for him. They gave him treasures of gold, frankincense, and myrrh. Luke 2:10-11: The angel said to them, “Don’t be afraid, because I am bringing you some good news. It will be a joy to all the people. 11Today your Savior was born in David’s town. He is Christ, the Lord. Luke 15:7: In the same way, I tell you there is much joy in heaven when 1 sinner changes his heart. There is more joy for that one sinner than there is for 99 good people who don’t need to change. Acts 2:28: You will teach me God’s way to live. Being with you will fill me with joy. Galatians 5:22-23a: But the Spirit gives love, joy, peace, patience, kindness, goodness, faithfulness, gentleness, self-control. Philippians 4:4: Be full of joy in the Lord always. I will say again, be full of joy.